Giveaway of a $10 Amazon gift card! I think many of us have fantasized about what it would be like to live the life of a Hollywood star. You’re one of the “beautiful people”—everyone adores you, your life is filled with champagne and caviar with none of the daily problems mere mortals face. But every so often, we also get a glimpse at the ugly side of fame, like the paparazzi and non-stop invasions of privacy, intense pressure on how you look…and obsessed stalkers. 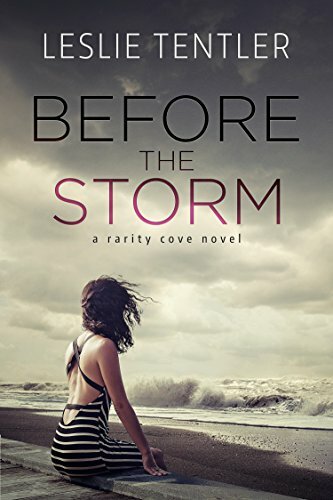 If you’ve read BEFORE THE STORM, the first book in my two-book Rarity Cove series, you met actor Carter St. Clair as the younger brother of Mark St. Clair, a widowed South Carolina innkeeper running the family business while trying to bring up a young daughter left emotionally traumatized by the sudden death of her mother. But BEFORE THE STORM was Mark’s story, and at that time, Mark and Carter had a rather contentious relationship stemming from their youths. By the end of the book, though, the brothers had resolved their differences, and Carter’s acting career was heating up. Physical therapist Quinn Reese fled San Francisco to be free of her soon-to-be ex-husband, professional football player Jake Medero. Staying at her mother’s house in Rarity Cove seems like her only option until she can get back on her feet financially. When the St. Clair family makes her a lucrative offer of employment, Quinn sees the potential for starting over, even if it means working with Carter, who broke her heart years ago. As Carter heals under Quinn’s care, a fragile bond forms between them. Carter also recognizes a parallel between his own stalker and the possessive pro baller who considers Quinn his property. But even as Carter steps into the role of Quinn’s protector, another dangerous storm is brewing…one for which neither of them is prepared. One lucky winner will receive a $10 Amazon gift card! To enter, just leave a comment or your email entry below. Leslie Tentler is the author of six novels, including BEFORE THE STORM, LOW TIDE, FALLEN and the Chasing Evil Trilogy (MIDNIGHT CALLER, MIDNIGHT FEAR and EDGE OF MIDNIGHT). She was a finalist for Best First Novel at ThrillerFest 2012, and is a two-time finalist for the Daphne du Maurier Award for Excellence in Mystery and Suspense. She is also the recipient of the prestigious Maggie Award of Excellence. A native of East Tennessee, she currently resides in Atlanta with her husband, standard poodle and three aloof cats. I love both covers, they are so moody :) Adding them to my TBR pile. Thanks! Fame definitely has it's dark side. As Carter most definitely finds out in LOW TIDE. Thanks for commenting, Maureen! I've always felt bad when you know a celebrity is trying to keep their lives on the DL. As much as we want to know about them, they have a right to keep some things to themselves. Sounds like some good reads! Hi, Ada! Carter definitely wants to keep his health and recuperation private in Low Tide, but it isn't easy. Thanks so much for the comment! I read the first book and loved it! Can't wait to read this one. The covers are gorgeous. Thanks so much, Jonetta. I love the covers, too! I've read most, or all of your books Leslie and I can't wait to read this one! Hi Trude, thank you so much! I really appreciate your enthusiasm and support! Hope you enjoy Low Tide! I really look forward to reading this book! Thanks, Gina! Good luck to you! Your books sound interesting, Leslie. And, the dark side is always intriguing. Thank you, Janet! Good luck! Ooh - I loved this book, was a great follow up read to Before the Storm! And there is a great twist in the tail too! Hi Willa, thanks so much for stopping by. So glad you enjoyed both books! Thanks for stopping by—good luck! I loved Before the Storm. Just one clicked Low Tide. I fell in love with the Chasing Evil trioligy, so Ms. Tentler became an auto buy for me. Thanks for the chance to win. Off to start Low Tide. Hi Trish, thanks so much! I'm so thrilled that you've enjoyed my books! 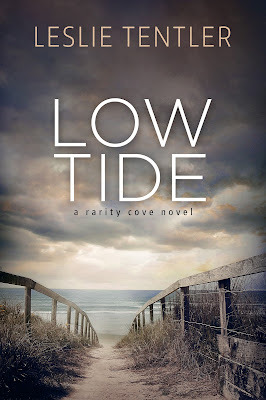 Thanks for one-clicking Low Tide! 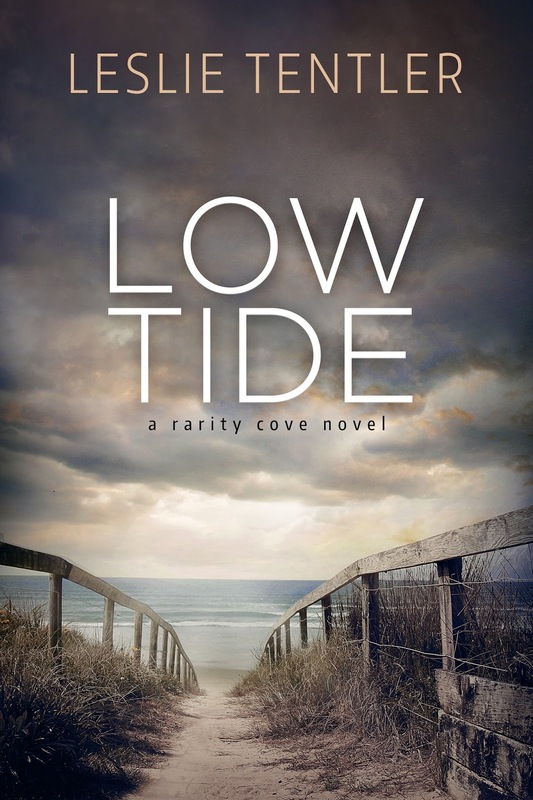 Looking forward to reading LOW TIDE. I wanted to stop by since you turned me on to this site. Good luck with Book 2. I loved Mark and Samantha's story and I'm sure this book will be just as great. This series sounds good. Southern coastal small towns have a special character all their own. The price of fame and wealth is not always what we expect it to be. LOW TIDE sounds like it will be an interesting exploration of some of those costs. Thanks for stopping by, Pat! Good luck! Good luck with the new release. I'm actually reading "Edge of Midnight" right now and enjoying Mia and Eric's story. Oh, these books sound fascinating! You're a new author to me but I'd be happy to check these stories out!